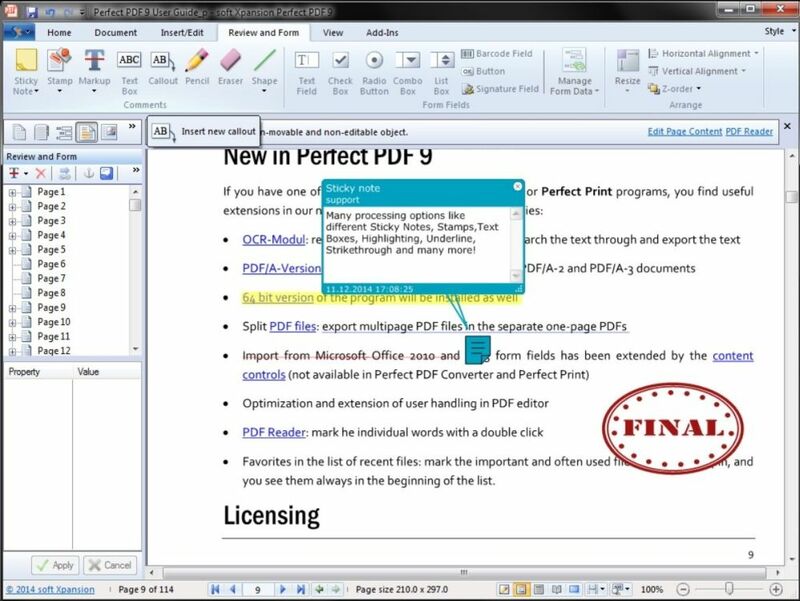 Time-saving PDF creation and managing in the office or at home! 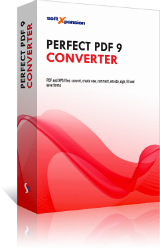 Perfect PDF 9 Converter was available as a giveaway on April 15, 2019! 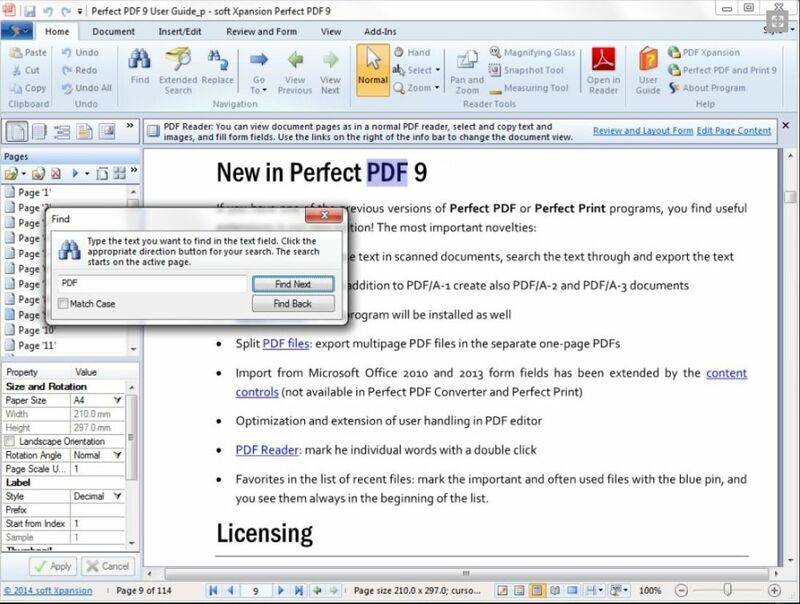 How would you improve Perfect PDF 9 Converter? I followed the link and entered my Email URL but have waited now for a long time but have not received a SERIAL NUMBER, can you help? I followed the instructions and did download and install and then visited the page the text file indicated and did get a serial number. The software will not accept the serial number and keeps sending up an error message that the number is already registered. When I close those messages the program closes automatically and I'm without anything to use. 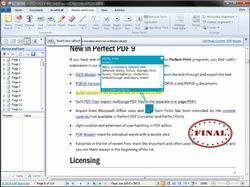 Does Perfect Pdf 9 have an option to preserve hyperlinks when saving a document to pdf ? 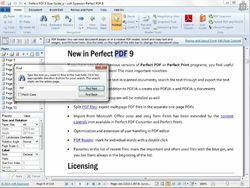 Does Perfect Pdf 9 have an option to preserve hyperlinks when saving a document to pdf ? Take care. I have unzipped the downloaded file and there is a .cfs file in it. What is this? Is this by GODT or by the programmer? Is it the old .gcd file under a new designation? Do we need to turn off AV software again? And what purpose do the two -one for 64 one for 32 bit systems, I suppose- of those vcrdist. files? For registration purposes or what? Why there is no clear and concrete information about what we are installing in that readme file? Themida uses .GCD, but today there is something else today. Setup.exe and setup.cfs are together the setup fot the program, I think. These names are quite normal. 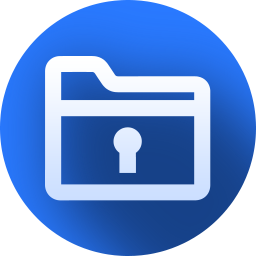 Concerned guy, The GOTDzip contains some files(5): https://www.dropbox.com/s/ru569n8411hkno3/Inhoud-GOTDzip.png Themida uses .GCD, but today there is something else today. Setup.exe and setup.cfs are together the setup fot the program, I think. The other 2 program's are for installation of Visual C++ 2010, x32 and x64; they are both needed: https://www.dropbox.com/s/ntudl8e9twotlqn/Melding.png These names are quite normal. This permits some playing with PDF documents, inserting and deleting pages and such. No OCR ( only in Perfect PDF & Print and Perfect PDF Premium, I'll try one of those trials instead ). At their website, they DO have a free read-only version equivalent to Acrobat and Foxit. This permits some playing with PDF documents, inserting and deleting pages and such. 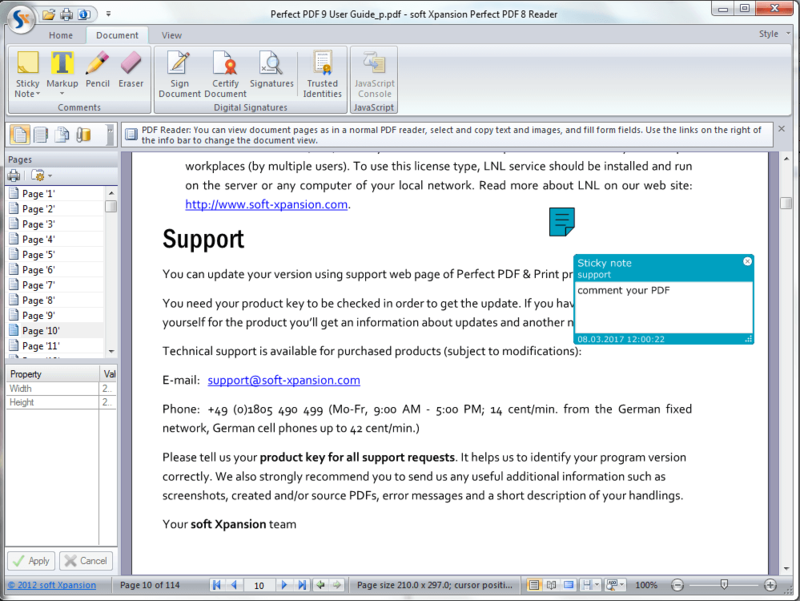 No OCR ( only in Perfect PDF & Print and Perfect PDF Premium, I'll try one of those trials instead ). 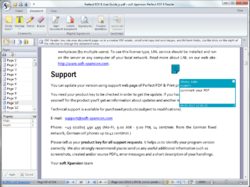 At their website, they DO have a free read-only version equivalent to Acrobat and Foxit. .
James Wells, please send us a mail at support@soft-xpansion.com with your hardware code and your product key so that we can generate an activation key file for you. Can we create PDF forms with this license? does this program have the ability to white out sentences or images? What are advantages over the free Foxit Reader please, if any?